Home > Alcohol & Health > Alcohol and Diabetes: How Strong is the Link? Much research is currently being done on the relationship between excess alcohol consumption and a constellation of conditions that can trigger diabetes. The research is complicated by the fact that there are two kinds of diabetes to consider. 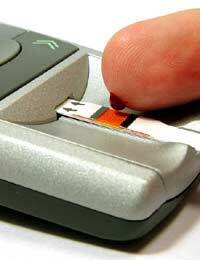 Type 2 diabetes is also called adult-onset or non-insulin-dependent diabetes and it’s far more common. One mistake is to assume it only happens to adults, children can develop it too. The problem usually begins with insulin resistance in which the muscles and liver cells do not use insulin effectively and the pancreas responds to the increased demand by producing more insulin which leads to it being unable to secrete enough insulin. Treatment is similar to that for Type 1 diabetes but may not require insulin injections. According to the famous American Mayo Clinic, drinking excessive amounts of can lead to pancreatitis - a condition that damages the function of the pancreas, so it cannot secrete adequate amounts of insulin which can trigger type 2 diabetes. Chronic pancreatitis is one of the most common symptoms of extremely heavy drinking and it is estimated that one in three people in the USA who have chronic pancreatitis will go on to develop diabetes. Glucose Intolerance can be another symptom of alcohol consumption, it’s also seen in some binge and starve dieters. It’s a condition the body manufactures more insulin than it needs to digest sugars, leading to low blood sugar and eventual organ damage, which can cause Type 2 diabetes. Symptoms may include drowsiness, trouble concentrating after eating, feeling bloated after a meal, constantly hunger and the feeling of having ‘weak knees’ after a big meal. Weight gain is a key feature of Type 2 diabetes – because being overweight is an overwhelming feature of diabetic tendency, and because alcohol is very high in calories, there’s a strong risk link between over-drinking and the onset of Type 2 diabetes. A single pint of beer may have as many calories as a bar of chocolate but while few of us would eat six bars of chocolate a day, many people consume that much alcohol without realising the potential side effects for long term illness. It’s not all bad news though, several studies since 2005 have revealed that light levels of alcohol consumption could actually reduce the risk of developing type 2 diabetes. 15 studies into links between diabetes and alcohol found that those who consumed between one and six units per day and had several none-drinking days a week, were a third less likely to develop type 2 diabetes than either total abstainers or heavy drinkers. If you have diabetes it is vital to talk to your health professional about your relationship to alcohol. Many diabetics think that ‘a few drinks’ won’t cause any problem but depending on how you are managing your diabetes, this can be true, partially true to completely false. Some diabetes simply cannot drink any alcohol safely. One reason that this myth is so dangerous is the fact that there is a time lag between many of the symptoms associated with problems caused by diabetes/alcohol interrelating – this means that people do not feel bad when they are drinking and thus fail to associate later problems with alcohol.